Ec is now level 80. Ec is pronounced eck. If some of you don't know anything about World of Warcraft, then let me give you some kind of idea. Its a game that is multi-player. I believe the last count was over 10 million players world wide. Meaning you play with and fight against other real players. This game is 3d game which allows the player to get so involved that you really do lose track of time. 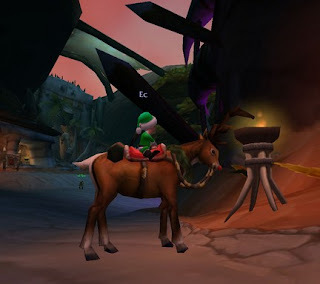 Ec (above) is on his reindeer mount, in dwarf xmas form. The one thing that is for sure, you can make friends in this so easy. 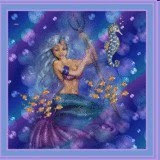 I have 2 really good friends there. We all quest together, and do Battle Grounds together. 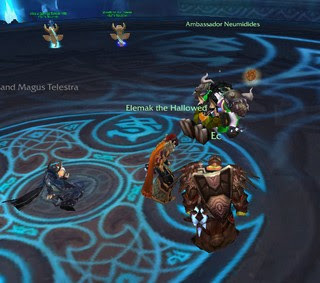 Elemak and I became friends when the game started over 4 years ago. Neumidides and I became friends over 2 years ago.